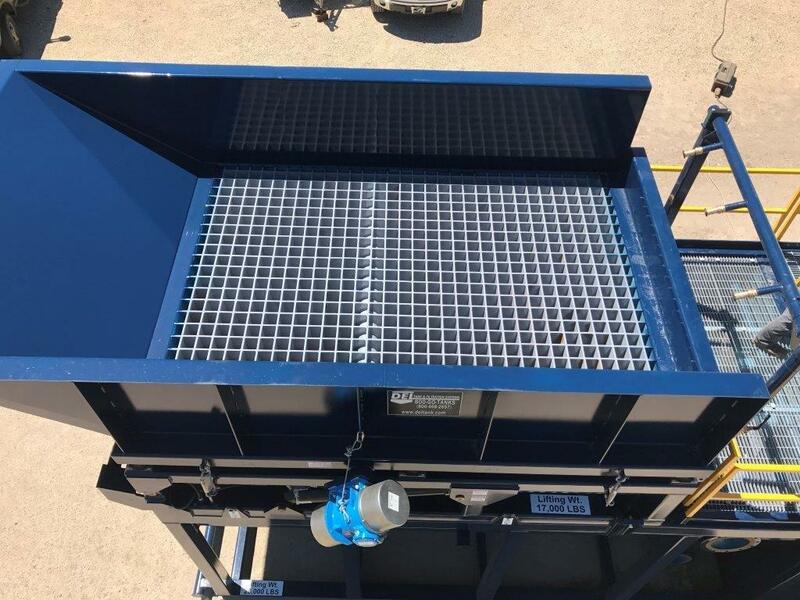 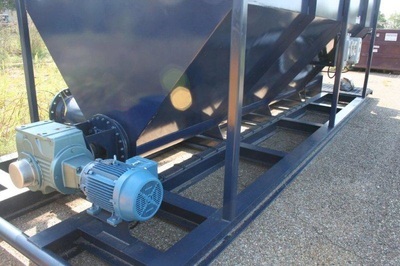 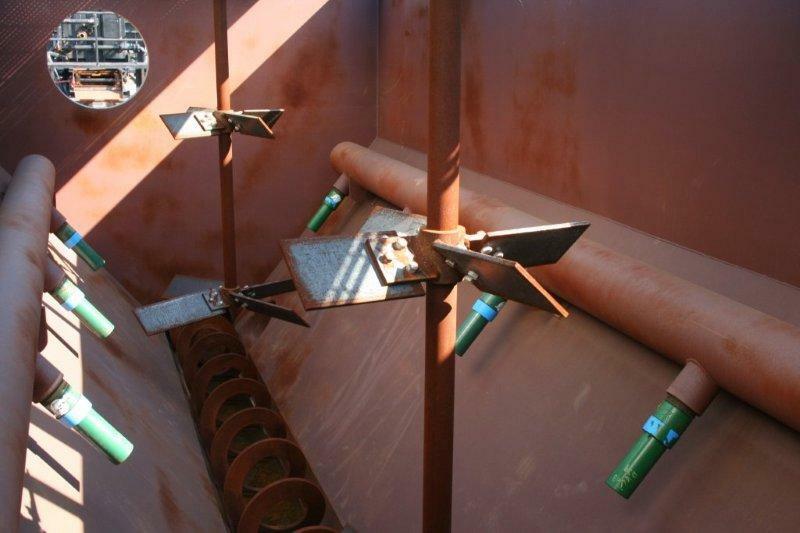 DEL Slurry Tanks are commonly used on capping projects to slurry sand or small gravel, but have the functionality to work with many different products. 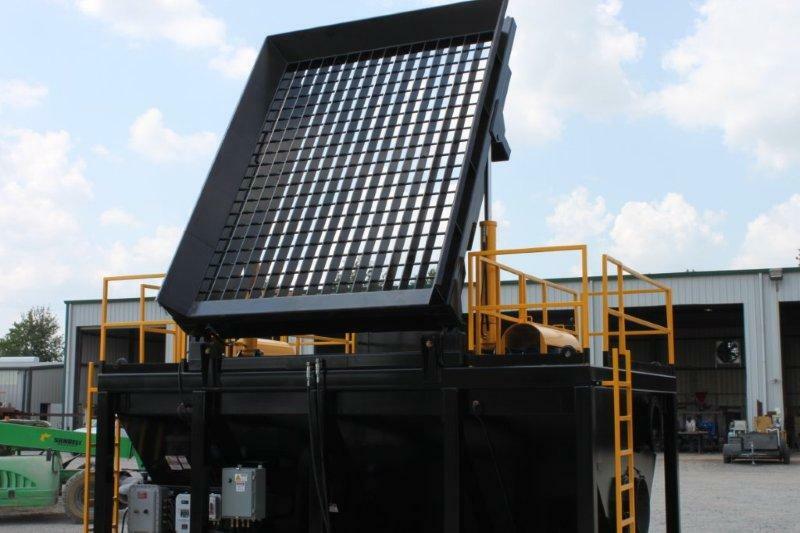 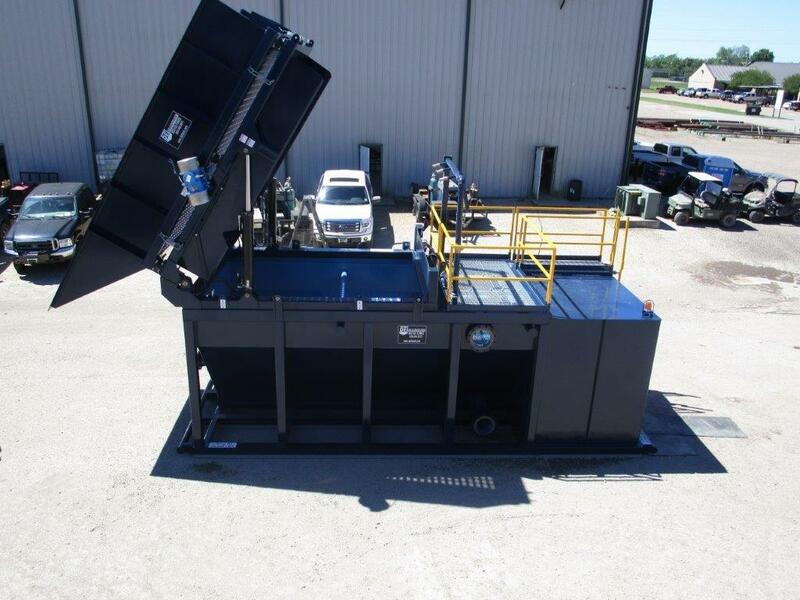 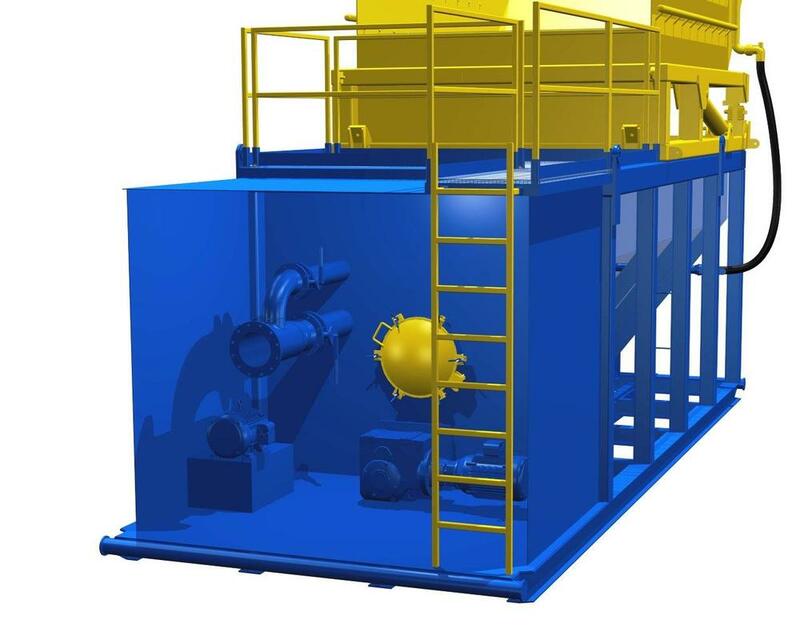 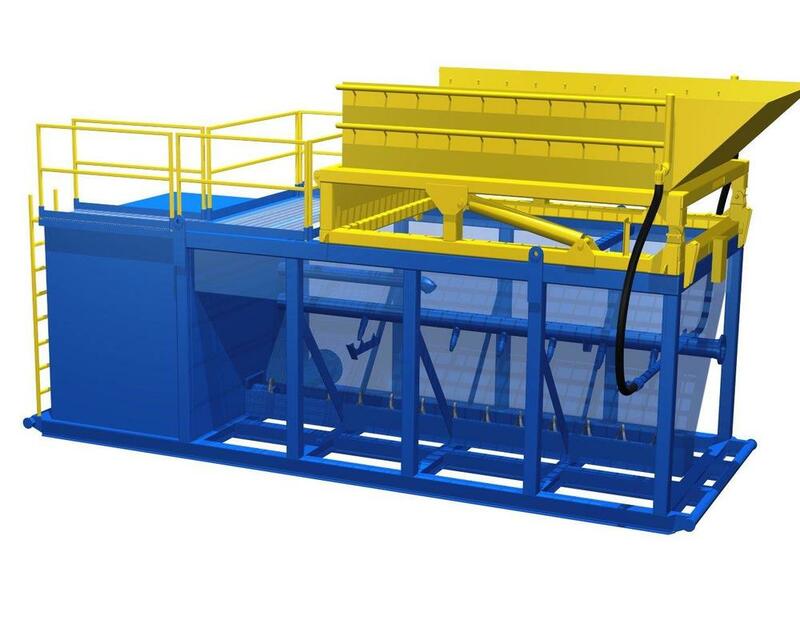 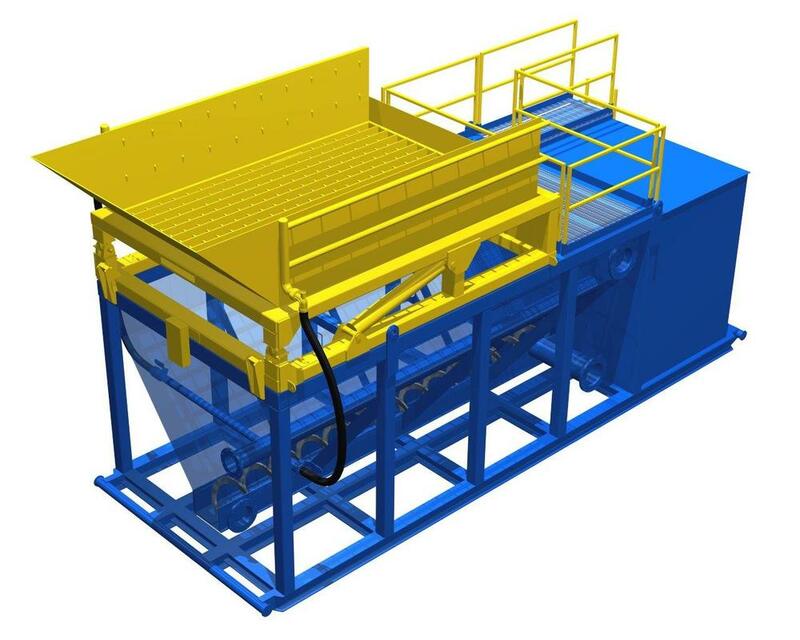 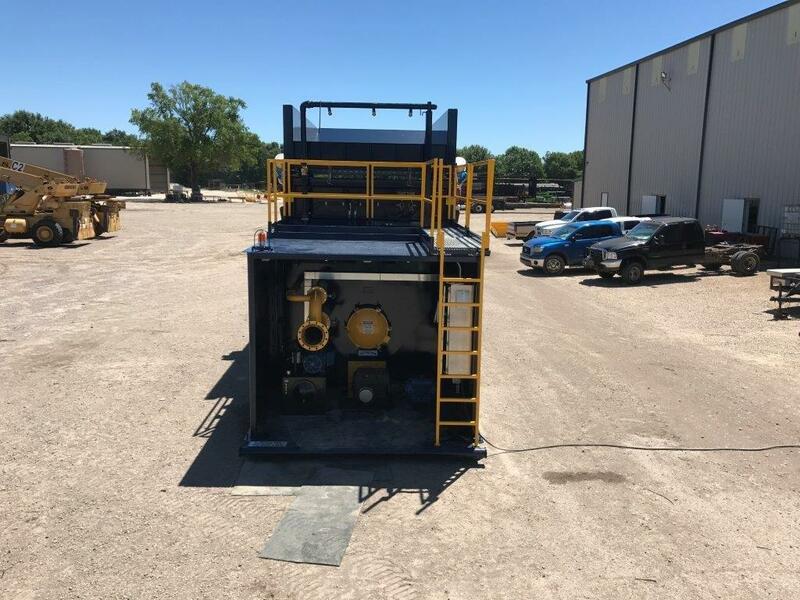 DEL can customize these systems to accommodate the cubic yards per hour requirement of your project.These systems can also be equipped with hydraulically operated grizzlies in order to remove oversize debris and slurry mechanically dredged material. 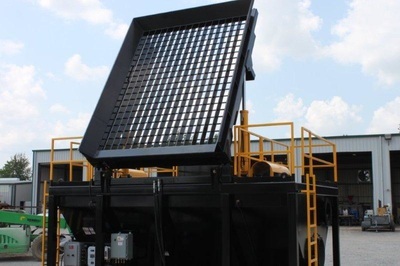 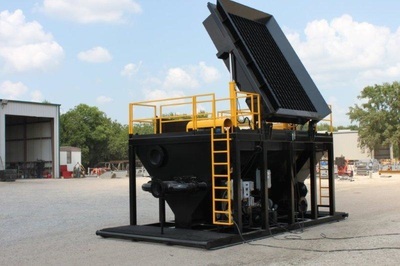 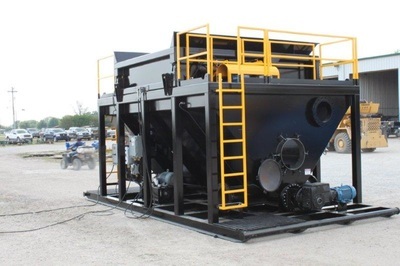 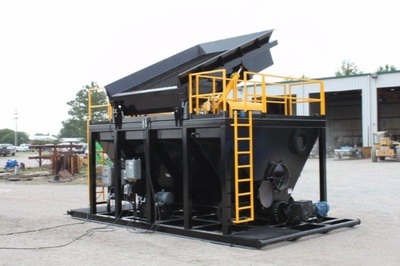 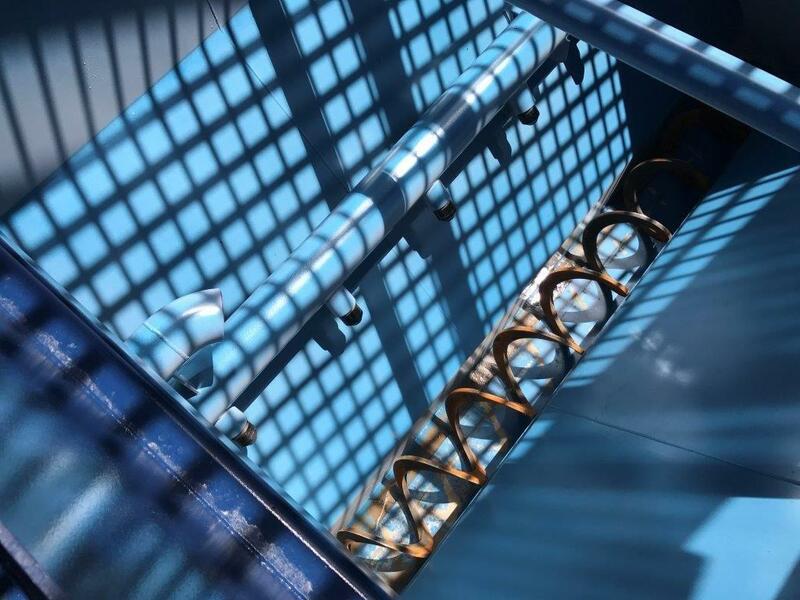 The Sand Slurry System above consists of an 8’6” wide x 20’ long V-Tank w/16” Shaftless Auger System including 15 hp drive and vfd, (2) DEL 10 Hp Mixers w/42” impellers complete with starters, (2) 8” gun lines with (5) 2” jet nozzles on each, (1) 6” water inlet, (1) 16” flanged suction, and (2) 24” flanged overflow outlets. 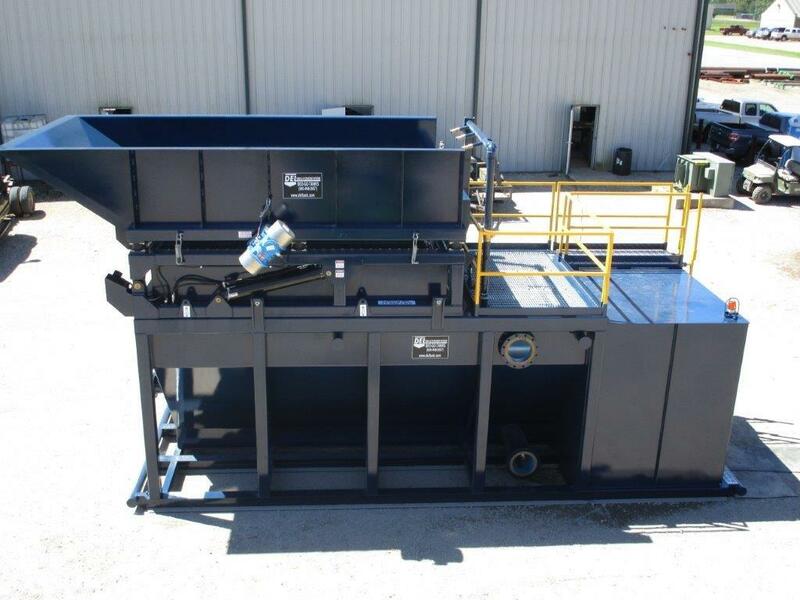 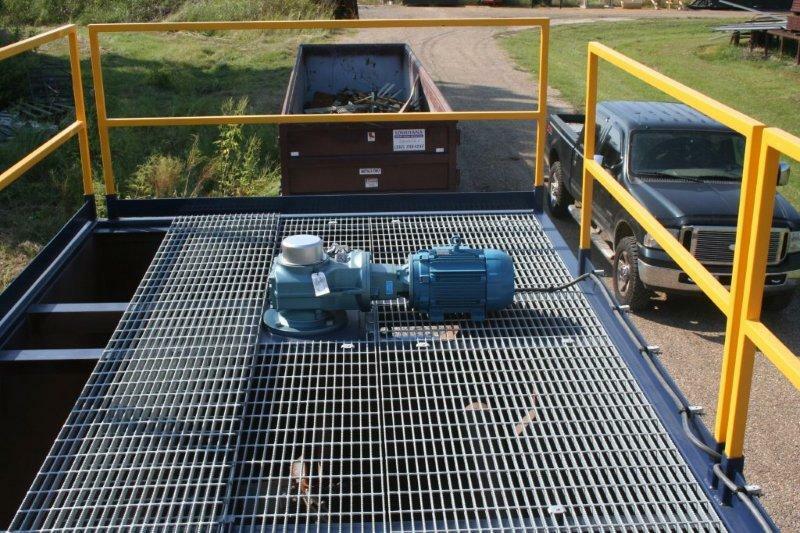 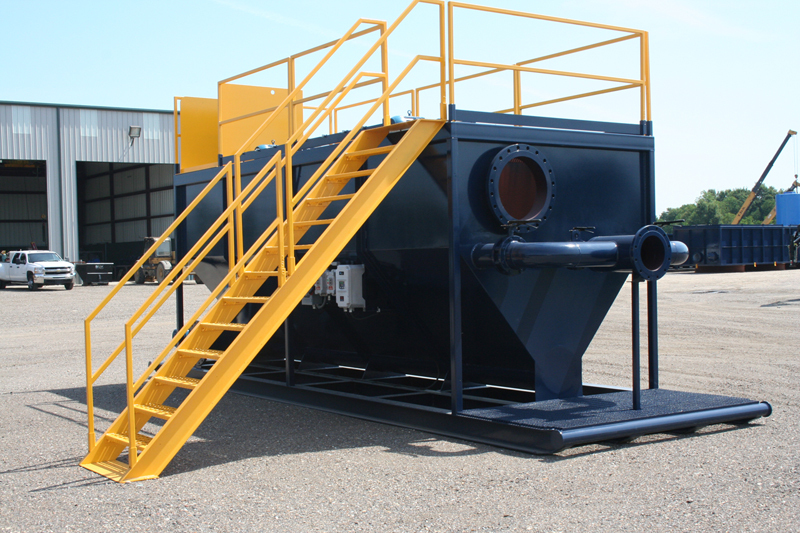 Below are some Custom Slurry Systems that were recently built for our customers.